I’ve come a short distance of late through a great deal of prayer and fasting, temptation and failure. I wanted those in my extended family in Christ to know that Everything you’ve done and continue to do is greatly cherished just as you are. WE are going to get out of here and all this mess will be behind us. 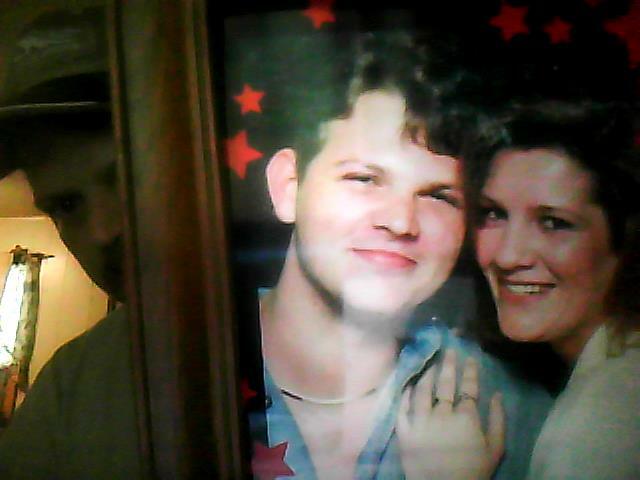 I wanted to show you guys a picture of my lovely wife and myself when I was 22 and she was 29. This is the helpmeet I Lost but the LORD gained. This was a glamour shot taken of my beloved around 1993 when she was 28. Its been said I craved money or attention after I Lost her but I only craved understanding and patience. The Lord revealed to me that she is at peace and In a place I cannot reach at this time. I wanted you all to know I Greatly Love you guys and to all my family on LaMarzulli.wordpress.com I want you guys to know that I love you. I stand ready and cannot wait to not only be reunited in a glorified form with Donna but you guys as well. I LOVE YOU ALL! Praise GOD guys we’re almost out of here!! LOVE, Michael.